After starting winter training the weekend after Thanksgiving and not letting up one bit through May 27, the rowing team concluded the 2017 season with their best finish ever at nationals. 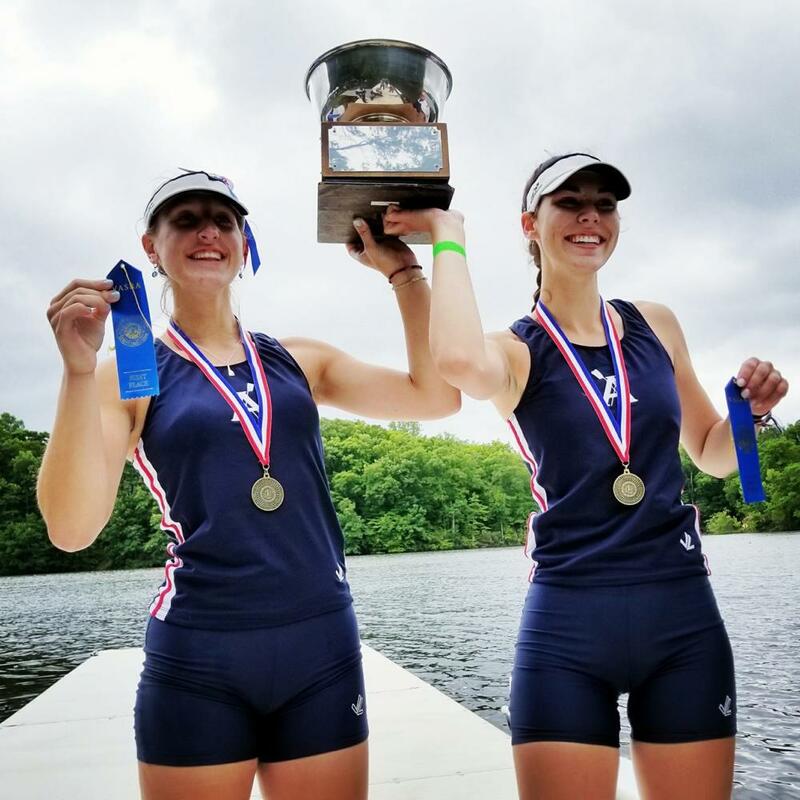 Junior Emmy Wuensch and senior Eliza MacKnight brought home the team’s first silver medal at nationals in the women’s double. MacKnight said that it was a very close race, and that she and Wuensch pushed themselves to the point of nausea, but that it was definitely worth it. Coffman explained that part of their success came from changing their practice routines this year. They lifted weights earlier and formed their lifting routines so that they were more interval-based, and they did more running than they had done in previous years. “Two years ago, we had a huge group of novice rowers, and so it’s taken a couple years for them to, one, learn how to row well enough to compete at that level, and second, a lot of them rowed with Rivanna Rowing Club last summer. That helped so they kept getting better,” Coffman said. Ten athletes travelled to Camden, New Jersey for nationals on May 26- 27. Freshman Hillary Lewis and senior Erin O’hara in the lightweight girls’ double, juniors Hugh Rickard and Jake Pierce in the lightweight boys’ double, sophomore Bri Knight in the women’s single, and seniors Clark Benham, Luke Christianson, John Ray and freshman Zack Arzouni in the boys’ quad. At Nationals, the girls’ double finished sixth, the women’s’ double finished second, the lightweight boys’ double finished fourth. O’hara eventually was paired up with freshman Hillary Lewis and they went to nationals as a part of the same boat. O’hara said that practices can last up to three hours, including running, rowing, and then lifting or running again. After her 2017 senior season with Albemarle, O’hara will be going on to row at the collegiate level at William and Mary. The team will lose five seniors, but are looking forward to next year’s regattas. “We have a lot of work to do ahead of us, but every year I say that because every year we lose between five and seven rowers and we end up doing okay. Somebody always steps up,” Coffman said. “It’s hard to tell [who will step up next year] because what happens is in the off-season, it depends on who decides they want to get faster and they want to get stronger. We had a pretty big group of new rowers this year.